We have gone back over 2009 in chunks: first January through April, then May and June, and last July through September. And now, at long last, we reach the final months of the year. The first event I covered in October was the monthly Chamber of Commerce After-5 Mixer, this time at Pinnacle Peak Steak House. This restaurant has been in Santee for many years, and has built a reputation on their food – which is quite delicious. For the Mixer they set out some of their pork ribs and signature baked beans, along with other goodies. It was one of the best-attended Mixers I’ve seen. The main event for the month was the annual Chamber Awards Night, this year held at Barona Resort and Casino. This is an opportunity to recognize the people and businesses that help make Santee a special place to live. Among the recipients in 2009 were Ronn Hall Insurance as Small Business of the Year, GTM General Discount Store as Medium Business of the Year, and Barona Resort and Casino as Large Business of the Year. There was also special recognition for Santee’s two adopted USMC units: 2nd Battalion, 1st Marines from Camp Pendleton and Heavy Helicopter Squadron 462 from Miramar MCAS. Other posts for October included previews and promotions for the CYT East production of Bridge to Terebithia, a Chamber Business Partnership presentation, Grossmont Center’s Shop for a Cure to support the Sharp Grossmont Hospital Breast Health Navigator Program, and the Auction Stampede 2009 fundraiser for the Boys and Girls Clubs of East County. 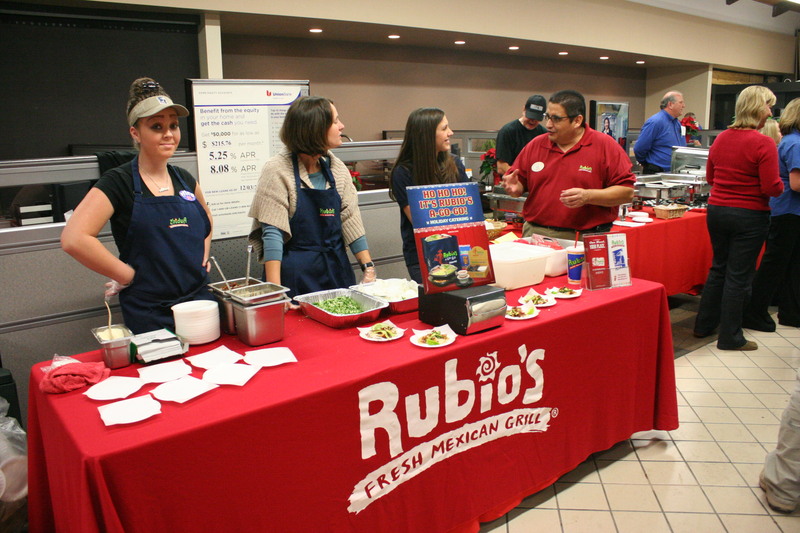 November featured two grand openings. The first was Aloha Pet Grooming, located on the west side of Santee; the second opening was Nutrition Zone in the Vons Center. Both are on Mission Gorge Road. Both of these were very well attended, and showed the feeling of community and support Santee has for new businesses. A very special event, although I didn’t get a post up until December, was a fundraiser held at Philippi’s Pizza for a young Santee girl severely injured in an auto accident. 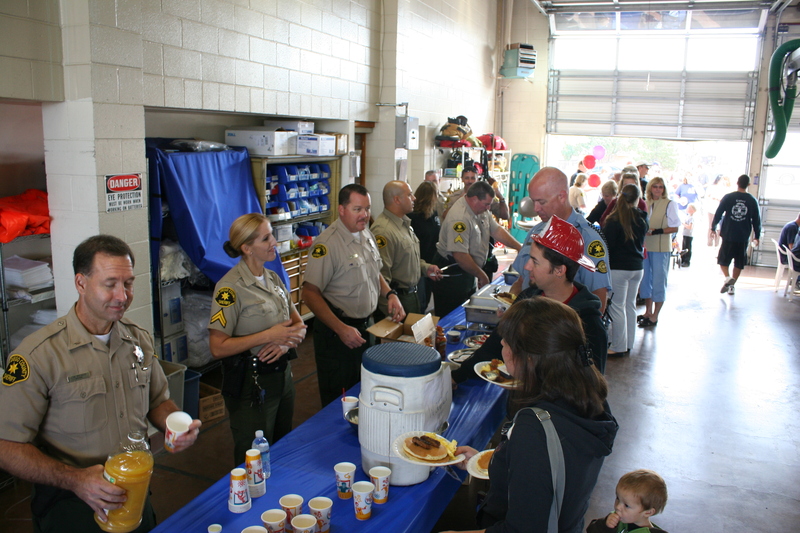 Also in November was the annual Santee Pancake Breakfast to support Santee Santas. This event is held at Fire Station 4 and is hosted by the Santee Firefighters and the San Diego Sheriff’s Department. The Firefighters cook, the Deputies serve, and the community gets involved both as donors and sponsors and as hungry guests. All proceeds go toward helping struggling families in Santee. 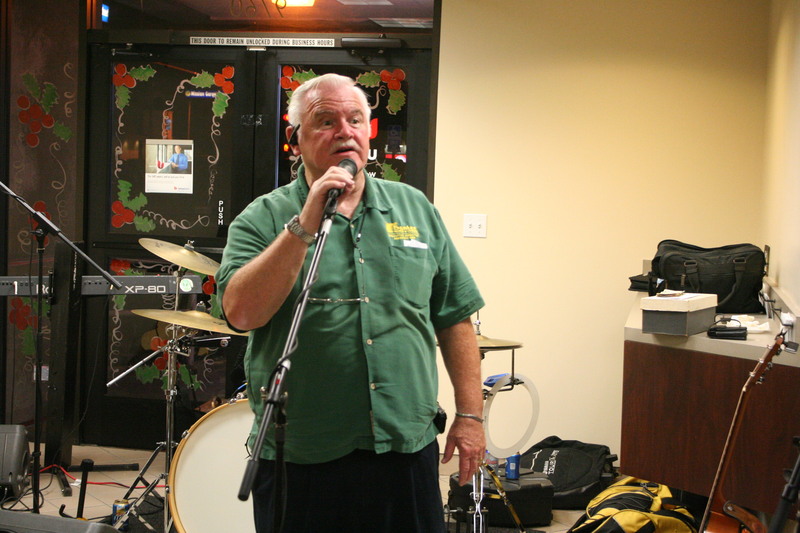 December kicked off with a preview of the annual Taste of Santee Mixer, then went back to cover two important November events. The first of these was the fundraiser at Philippi’s Pizza Grotto to help the family of Jordyn Niemiec, who was severely inured in an auto accident in October. The event was coordinated by a wonderful group of family and friends who call themselves Team Jordyn, Philippi’s donated a room and a percentage of proceeds, and host duties were shared by local radio personality Clint August and businessman/DJ Thomas Hootman. People came literally from all over East County to help this little girl and her family, donating a total of nearly $8,000. 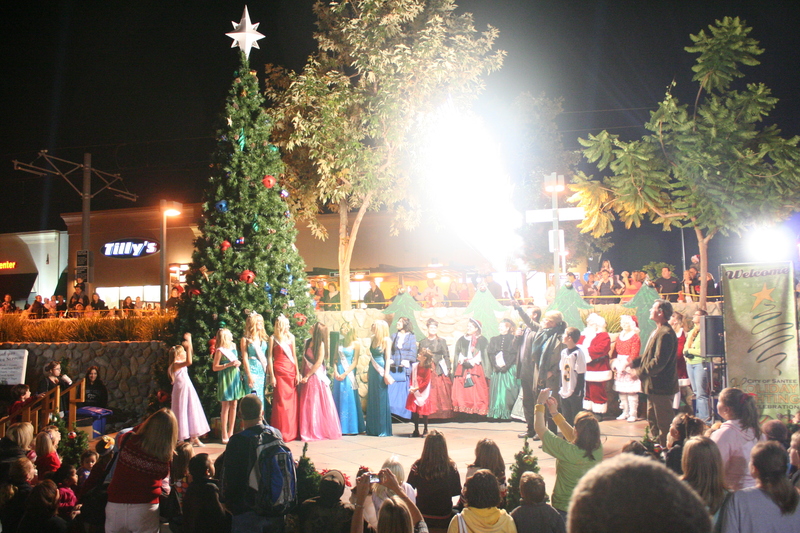 The other big November event I wrote about in December was the annual Holiday Lighting Celebration at Santee Trolley Square. The Celebration always includes music, community booths, carriage rides, and the lighting of the tree on the amphitheater stage. This year’s entertainment featured Singing Solo and the U.S. Navy Band Southwest Brass Quintet. Even though the overall event was a bit lower-key than the previous year’s, everyone seemed to have a lot of fun. 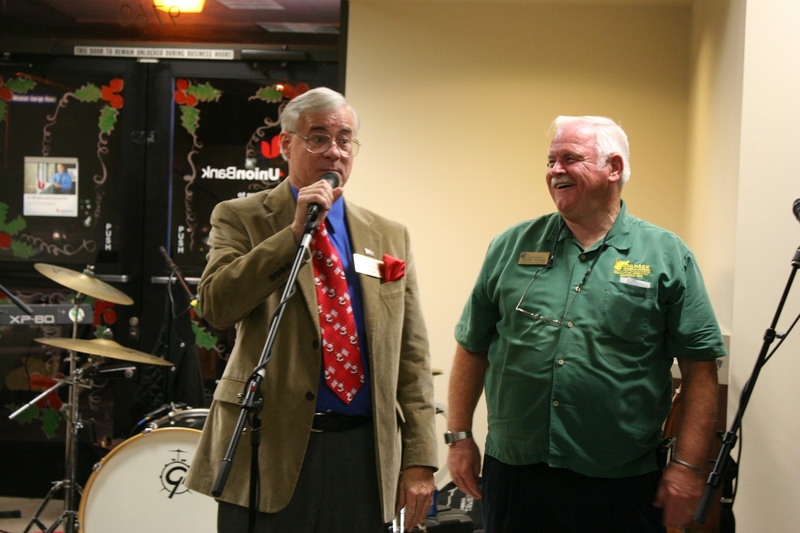 December’s big event was the annual Taste of Santee Mixer, which raises funds, food, and toys for Santee Santas. Union Bank in the CVS/Best Buy Center hosts this evening, which brings together restaurants and other food businesses with Chamber members and other community members. Among the dignitaries attending were Mayor Randy Voepel, Councilmember John Minto, Chamber CEO Warren Savage, and incoming Chamber President John Olsen. Just before the holiday school break, the Lakeside Middle School Show Choir performed a selection of holiday songs at the Trolley Square Amphitheater. The Lakeside Farms Elementary School choir joined the older kids in sharing the musical fun. Other stories I covered in December were a DUI checkpoint conducted by the San Diego Sheriff’s Department, the planned closure of SR-67 for construction, and the demolition of the old Edgemoor Hospital facilities. Finally, I started off a new Business Spotlight with a post on Prestige Beauty Supply. 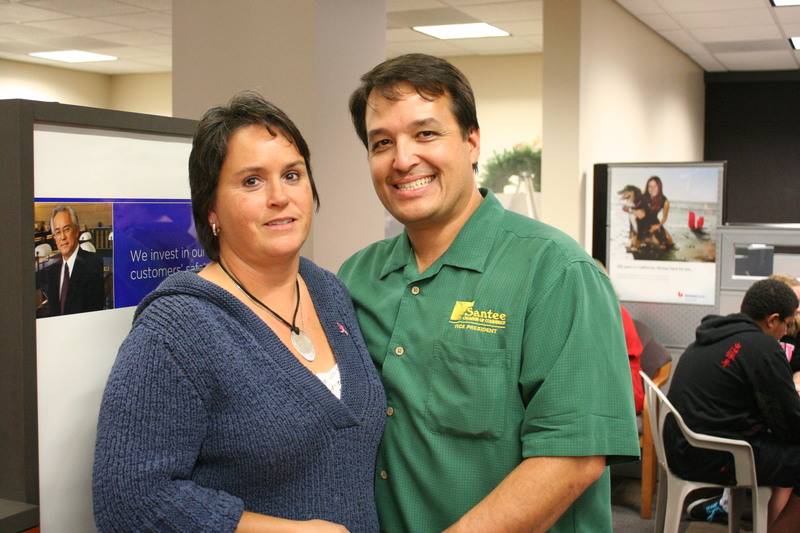 This brings us to the end of 2009 – a year with its share of bad news, but still a lot of positives for Santee. January 2010 will bring us new challenges as well as new opportunities to show just what it is that makes this city special. The first event of the year will be the annual Chamber of Commerce Installation Dinner for the new officers. I also plan to continue On Food Patrol and Business Spotlight, and I plan to kick off a Meet Your Neighbor series to introduce you to some of the people who make Santee special. 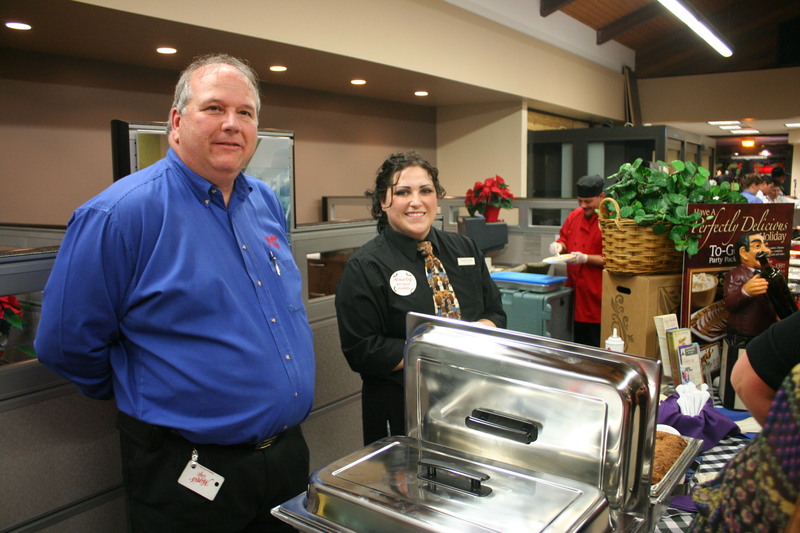 On Thursday, December 3, the Union Bank branch in Santee once again hosted the annual Taste of Santee Mixer. This event is not just an opportunity for local restaurants and caterers to showcase their goodies. It also helps to raise funds, food, and toys for Santee Santas, a group which has provided assistance to needy Santee families since 1953. 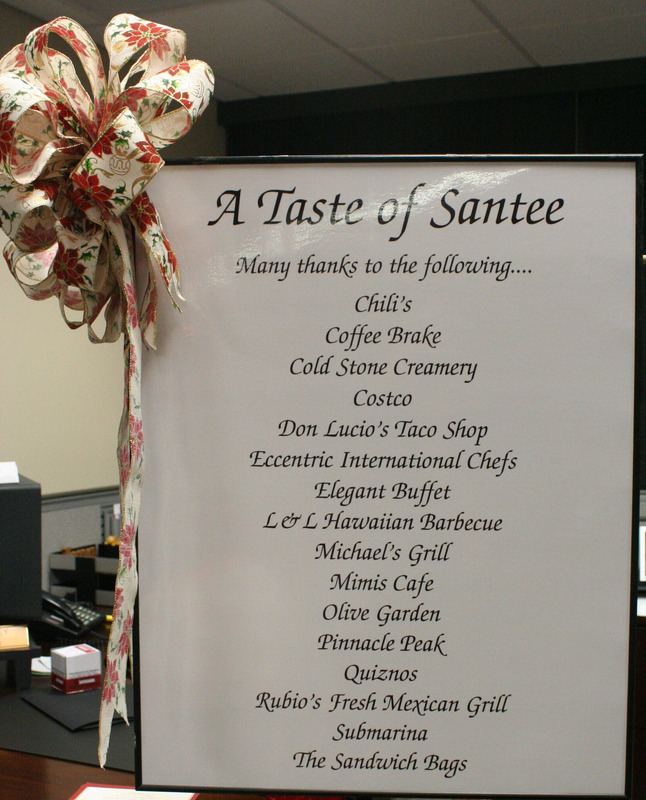 The Taste of Santee has been going on over 20 years now, and continues to be an important part of the community. 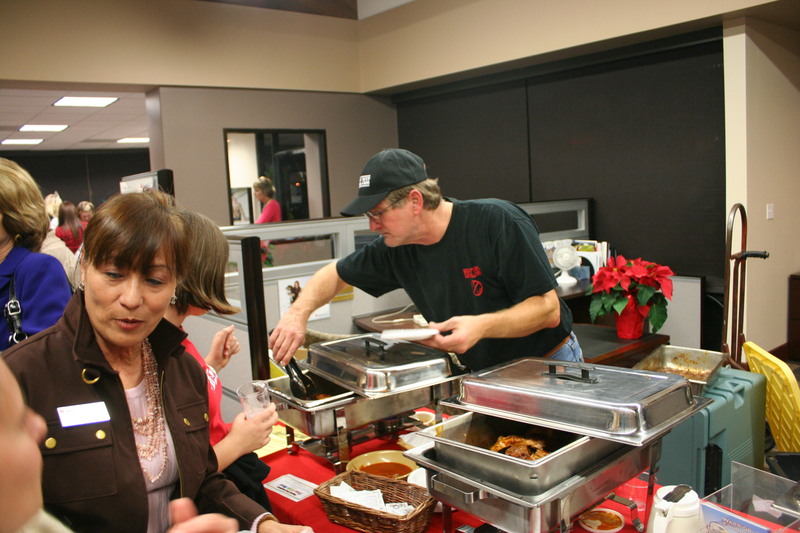 Over a dozen local establishments shared some of their best with the many who attended. Among the guests were members of the Santee City Council, Santee Chamber of Commerce, and many friends of Santee Santas. 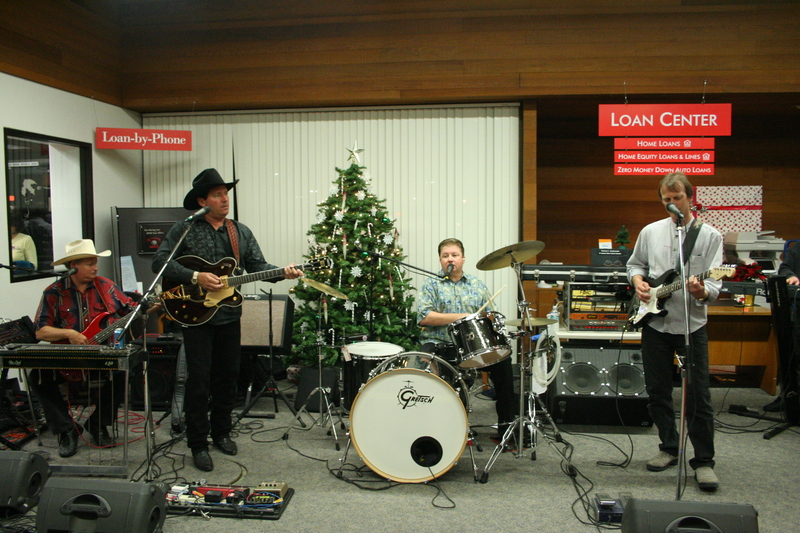 As in past years, the group Honky Tonk Kings provided the musical entertainment for the evening. The Kings consider this as their way of helping to give back to the community that has supported them over the years. Everyone had a fun time and Santee Santas went away with a nice collection of toys and food to help out this holiday season. Thank you to all who donated time, talent, toys, food, and everything else needed to make this a success. If you missed this year, be sure to mark the first Thursday of December 2010 so you’ll be ready. 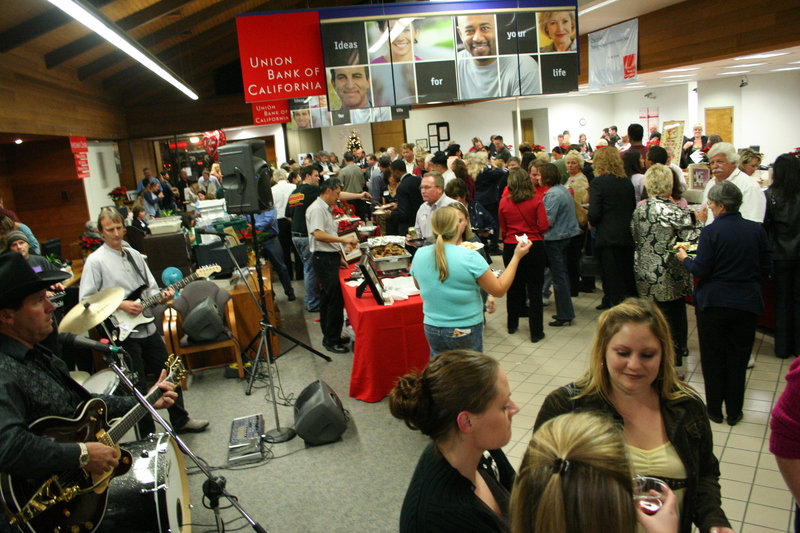 This Thursday, December 3, the annual Taste of Santee Mixer will take place at Union Bank in the CVS/Best Buy shopping center. This event is not only a great way to check out some of our local restaurants, it is one of the main fund and resource raisers for Santee Santas. Admission is either a new, unwrapped toy, a non-perishable food item, or $5. All proceeds go to help needy families in the community. 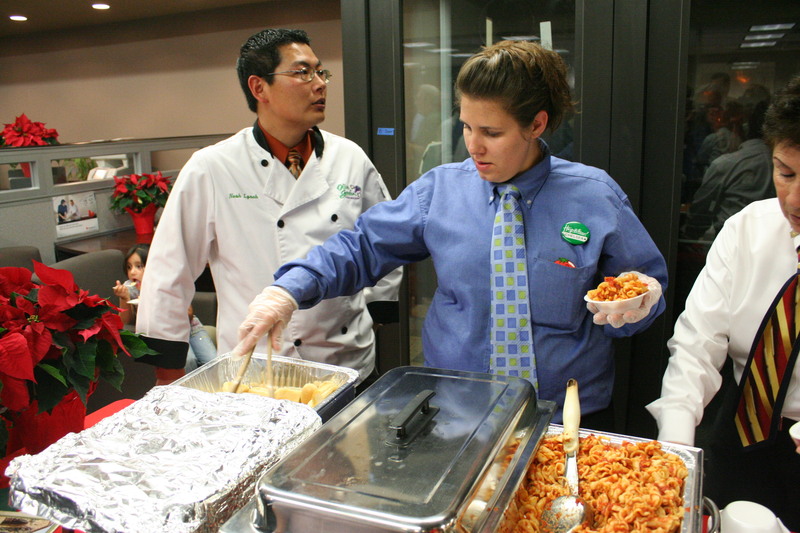 In the past, participating restaurants have included Coffee Brake, Eccentric International Chefs, Hometown Buffet, Michael’s Grill, Mimi’s Cafe, The Sandwich Bags, and many others. All of these eateries donate their time and food to help make this evening possible. If you are interested in attending, you can contact the Santee Chamber of Commerce for more information at 619-449-6572. 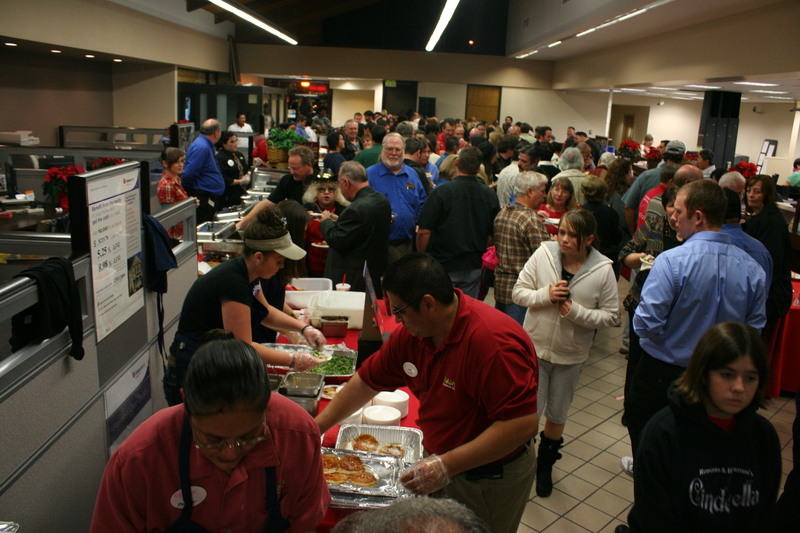 To get an idea of the fun expected, check out my post on the 2008 Taste of Santee. 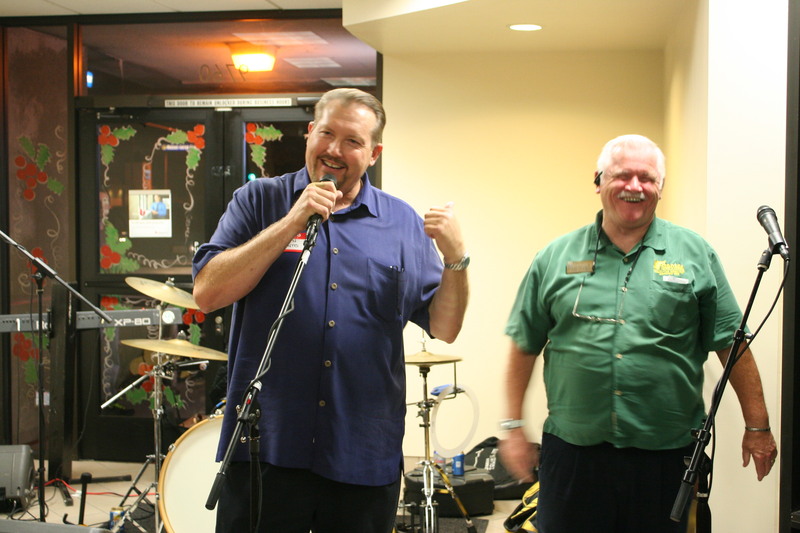 Thursday night (December 4) was the annual Tase of Santee at the Union Bank of California. This two decade old event is a major fund and resource raiser for Santee Santas, a group that provides help to needy families in the community. As you can see above, a good crowd showed up for the evening (that’s Chamber of Commerce Executive Director Warren Savage playing paparazzi). As always there was lots of food, good music, and fun. I want to share some of that fun, as well as thank as many of the individuals and companies involved for their efforts. Santee Santas is a group that has been around since 1953 and was created to help support struggling families in the Santee community. Some of the activities they are involved in are a Holiday Toy and Food Drive, Senior Outreach, and Secret Santas. This wonderful group is always looking for volunteers to help with their activities, as well as financial support. You can contact them through their website (link above) or by calling 619-258-5947. The Chamber of Commerce has been a big supporter of the Santee Santas as well as local businesses and the entire Santee community for years. The Chamber has been involved on the local scene since 1955, which makes it the younger sibling to the Santee Santas – but they have worked well together for years. 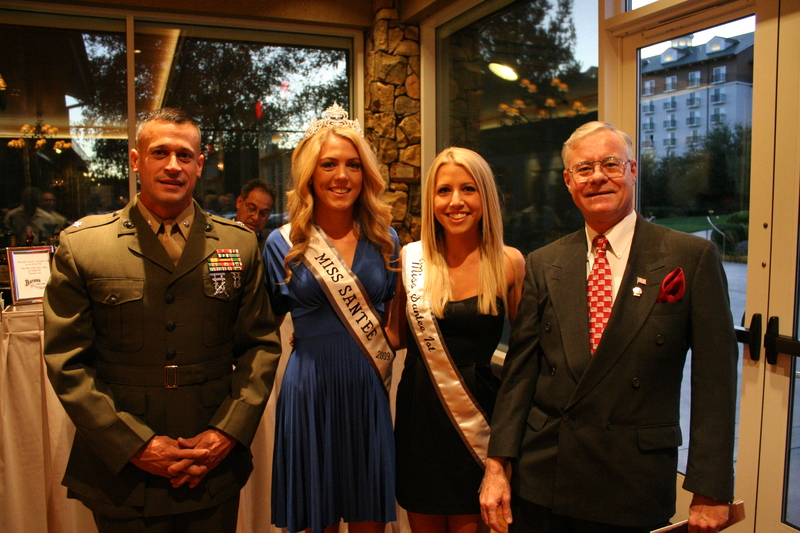 The Taste of Santee event is over 20 years old and is a major event for the Chamber, along with their annual Installation Dinner, the Miss Santee competition, and many business Grand Openings. For more information about the Chamber, or to contact them about business advice, click the link above or call 619-449-6572. 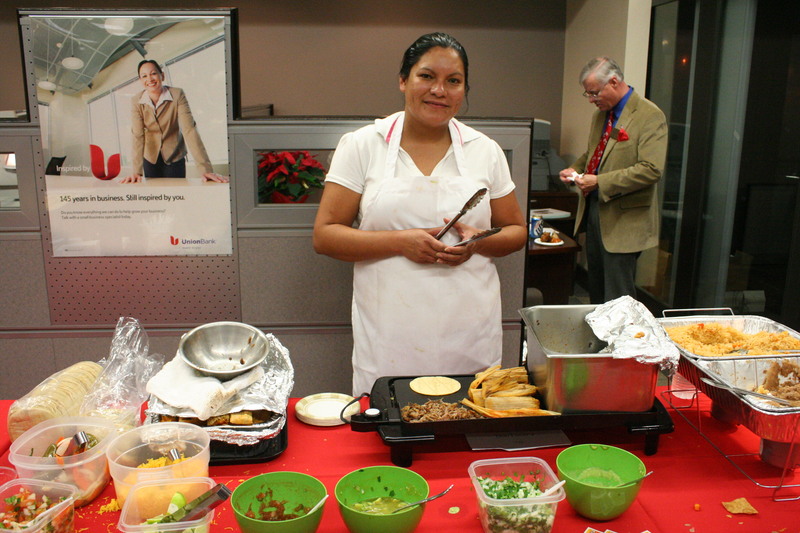 A huge “Thank You” must go to the Union Bank of California branch which has hosted the annual Taste of Santee for several years now. Jana Bradley, Vice President and Branch Manager, was a most gracious host, closing the bank early in order to prepare for the big event and providing all of the support services needed. Just an example of one of the many businesses that help make Santee special. Also on hand for the event were members of the Santee City Council, including Mayor Randy Voepel and Councilmembers John Minto and Brian Jones. Mr. Jones had to leave early, but Mayor Voepel and Mr. Minto both spoke of the good works of Santee Santas and the success of Santee as a city. And stay tuned for some big news from the City Council about Santee. A number of Santee businesses were also involved in making this evening a success. Rather than try to list them all, I will let this picture do the talking. And of course, no big event would be complete without entertainment. 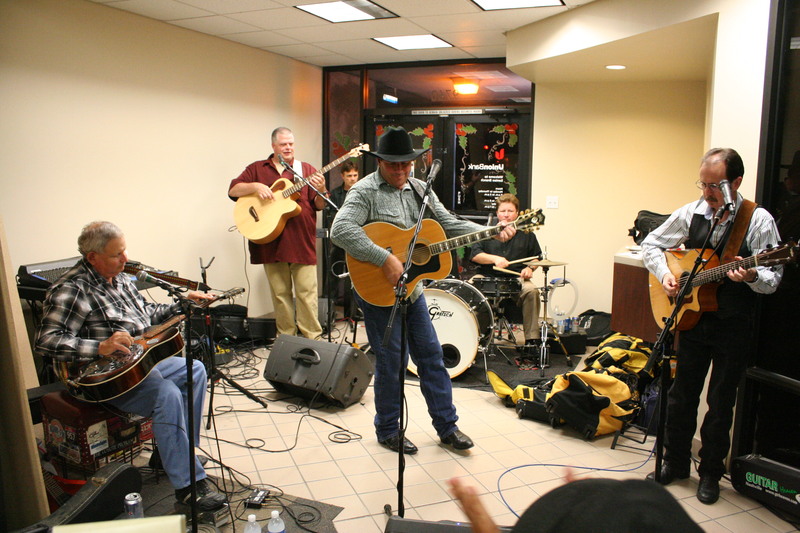 Once again, for the 17th year, the Honky Tonk Kings provided the toe-tapping and foot-stomping music. This is a great group that always goes the extra mile for Santee. Be sure to check them out at the Renegade Bar on December 6 and 31, or check out their MySpace site for updates and music. 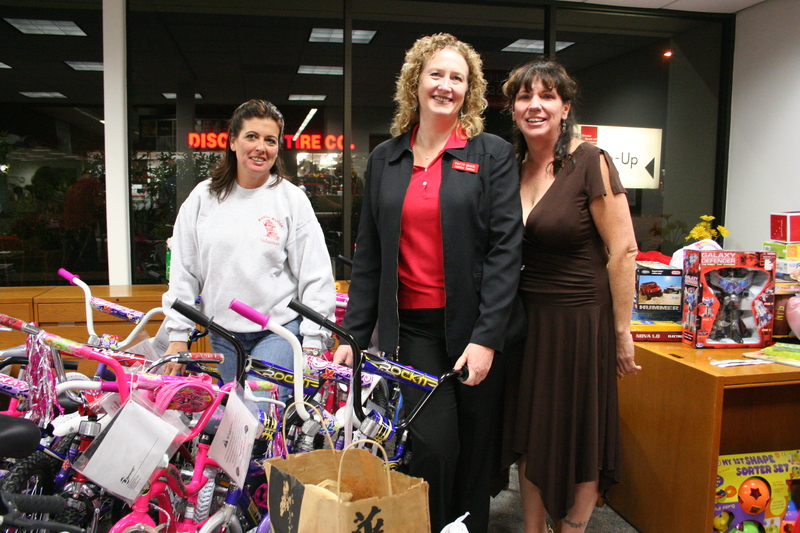 But the most important part of the night was all of the toys and food collected for needy Santee families. Thank you again, Santee, for coming through. I know the economy is tough, but let’s see if we can make this year’s Taste of Santee at least as successful as last year’s. If you have any questions, contact the Santee Chamber of Commerce at 619-449-6572.